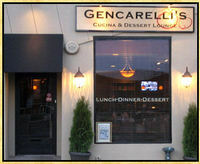 Debbie Gencarelli is a most friendly and cordial host. She is part owner of this average Italian restaurant in Montclair. Her happy enthusiasm is effusive and almost makes up for the awkward service and good but inconsistent and, in my opinion, uninspired food. Don't Drink Another Glass of Wine Without This! 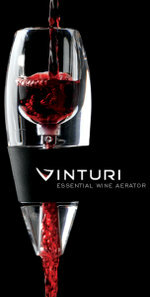 Vinturi is a marvelous new device that instantly aerates wine. Why is this important? Wine comes from a living breathing grape. The entire process of growing and creating wine is an event exposed and alive with nature until the juice hits the bottle. The wine is then essemtially put to sleep until it is suddenly uncorked and consumed. Yes some aging occurs in the bottle, but when first opened almost all wine is tight and restained. To reveal any good wine's full essence it must be given time to breath, all to often we don't have that time and just pop and pour, missing much of what the wine has to offer. Thankfully a remarkable new invention has come to the rescue, Vinturi. Dined at Bohemia again. The food is delicious, decor comfortable, service is fine. The owners could be a little more gregarious, but the food and those delicious pisco sours are what I go for. Here is another hit from Australia. This one from the Margaret River, one of Australia's many prolific wine regions located on the far west coast near Perth. I enjoy the winemaker Mark Lane's style in and outside the bottle. The label features Sydney artist Nick Bleasel. Laneway is a blend of 96% Shiraz and 4% Viognier to enhance aroma and add complexity. It is a delightful wine. Sells for $16-20. Found this at Bertelli's in Clifton. Cyprus has been the provenance of lovable food and wine for thousands of years. 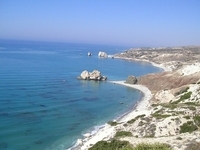 What else would you expect from the land that is considered to be the birthplace of Aphrodite. Halloumi is a delightful cheese from Cyprus that I absolutely love, have you ever tried it? My focus on Southern Hemisphere wines continues to pay off. Here is a jubilent Mendoza Malbec that I really enjoyed called "Pileta 39" (Pileta means "Bin" in Spanish).